You May Have Been Lied To: Several people go online, find the first article that talks about improving credit scores and, BAM! They’re ready to get started. But, unfortunately, not everything online can be trusted. Driven by affiliate profits, there are several articles out there written for the sole purpose of making a buck! Although, I promise, I know what I’m talking about, YOU SHOULDN’T BELIEVE ME! Before doing anything that you believe will improve your credit score, look for other, trusted resources that back up the theory. If you are going to hire a company that you believe will help you improve your credit score, make sure to do your research on that company before paying a dime! Disputing A Negative Report Doesn’t Mean It Will Go Away: Honestly, this is one that gets me pretty mad and, unfortunately, I see it all the time! There are so many articles that tell you that if you have old debts, chances are, the lenders no longer have the paperwork that you signed. So, dispute it and, magically, it falls off your credit report. Bulllllony! Think about it from a practical perspective. If you were a lender that has a customer that is past due, don’t you think that you would make sure you had a system to keep track of your paperwork and contracts? I know I would! The reason this gets me so angry is that so many people get their hopes up for a quick fix. When the find an honest, step by step credit improvement resource, they quickly leave and look for a quick fix! Due to false information about credit score quick fixes online, more and more consumers are going backward when they should be going forward. How Long You’ve Had The Card – One of the factors reporting agencies use when calculating your credit score is the average life of your revolving accounts. The longer the average, the better. Therefore, if you want to close your youngest account, it may be a good idea! Doing so will bring the average life of your revolving accounts up. How Much Credit Is Available – Another key to your credit score is your debt to credit ratio. Therefore, if you have a pretty good amount of available credit, I’d say 30% or higher, closing your account will harm your score. However, if your account is completely maxed out or close to it, closing it may not have any effect on your credit score at all. Or, at least this variable of your credit score. You Can’t Expect To Go From Bad To Great Credit In 3 Months: When you want to build your credit score, you are not making a 3 to 6 month commitment. Your credit score is based on your financial history. If you have no financial history, you have no credit score. If you have a bad financial history, you have a bad credit score. The only way to change a score from bad to good is to make lifestyle changes and show lenders that you are financially responsible to take on new loans. Improving your credit score is a feat that takes nothing more than a commitment to making practical financial decisions and a plan for success. All the information that you need to build your credit score is available at your fingertips through articles like this one. However, it’s up to you to do your research and figure out, which options make sense and which don’t. Welcome to Modest Money Josh! I hope to see you around the Monday Money posts! If there are any specific questions I can answer in my future posts, I’d love to hear them! The cruel irony is that when I pay off my student loan, it will hurt my credit score because the oldest account on my credit report by a long shot will be closed. The good news is, that’s not exactly the case. The length of time open only applies to revolving accounts. When it comes to fixed payment accounts like student loans, auto loans and mortgages, the reporting agencies know that these will be paid off and closed at some point. However, keeping a credit card for a long time shows loyalty! Thanks for your comment! The closing of existing accounts is often misunderstood and overstated. FICO scores have twelve different scorecards baked into one. One scorecard is designed for people with short histories. Others are for longer histories, thin files, currently delinquent, historically delinquent, etc. Closing an account will impact scores differently based upon which of the twelve scorecards used to calculate your score. In other words, “pay no attention to the man behind the curtain”. Don’t try to outguess the scores. Do what makes sense to manage your finances. If closing an existing credit card is your best way to avoid overspending, then close the card. Kevin, thanks for your comment and, wow, you taught me something here! I had no idea there were 12 scales when measuring your credit score. Can you point me to a post you’ve done about this as a resource for future articles I may write on this topic? As far as simply making good financial decisions, I couldn’t agree with you more! Good information. It seems to me that one of the problems a lot of people have is that they get so focused on “tricks” they can use to improve their credit, that they lose sight of the bigger picture. As you say, improving your credit is really just a commitment to making better financial decisions. If people focused more on the bigger picture of living a financially responsible life, the credit score will take care of itself. Thank you for your comment and, I couldn’t agree more! Tricks are used in all areas of finance and anything else for that matter. But, they are just that, they fool the mind into thinking what is happening now will continue. Unfortunately, those tricks lead to a drastic downfall in most cases! Thanks again for your comment. Great topic Josh. It’s crazy what people will believe when it comes to their credit. I like your motto of finding other trusted sources before you take someones word for it. In most cases, time is the only cure for bad credit unless you have some sort of mistake on your report. Thanks for your comment. Time and wise financial decisions are the only way to go! Hey Joshua! Welcome To MM!! Thanks Mr. CBB! I’m glad to be here and really appreciate your kind comments! Very true about needing to take it in small steps for the long run, and be patient. Thanks for your comment and kind words Mike! I think this is a good reminder to take care of your credit in the first place as it does take time and maybe effort to raise a poor score. 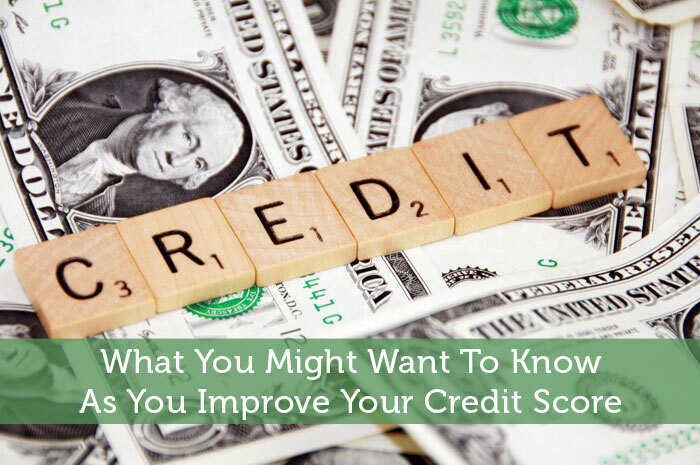 So many things rely on good credit scores that it’s too important to ignore. It takes a lot of time to repair a credit score and I think a lot of people are too impatient. I agree it is easy to research ways to build credit and can be easily done if willing to put in the work. Thank you for your comment and, agreeing with me!!! I also wanted to let you know that I love singlemomsincome.com! Having freaked out in the early part of March when I applied for a refinance and they told me I needed above a 700 credit score, and looking at my most recent credit pull I was sitting at 675 due to a maxed out credit card, let me share a tip. The quickest way to boost your credit score is to pay down the balances on your cards to under 50%. I stopped paying extra on all my other debts and dropped everything into the credit cards getting two of them below a 50% balance. And kazaam! On the next credit report my score jumped from 675 to 712, enough for that refi. I’ve now paid off one completely and my score is up to 723. I’m sure when the other one is paid off i’ll jump even higher. Thanks for your comment. I know a lot of people run into similar situations and, you hit the nail on the head there. 50% debt to available credit ratio will dramatically help. I like to keep mine around 30% or less so that I still have a financial pillow to fall on when things get rough without going over 50%! Secured card can help, however be sure that they will convert the card at some point to an unsecured card as you dont want to “waste” all the time spent on the secured card. Good point here, although most secured cards do eventually become unsecured, some do not! Thanks for your comment. Great post, Josh! It’s amazing how many people out there write about semi-dishonest ways to improve your credit or get rid of your debt. Like Matt said, it’s all about living responsibly, and owning up to the mess you made as well. Thank you for your kind words. It never stops surprising me when I find a post that has outlandish information about something so important! Same with DIY work stuff — when people go online and find the first article they can on roofing, they then go, “Yeah, I can do that” and then they destroy their roof. NO! NO! NO! You gotta look around a LOT, read a LOT, spend time doing your research, people! Don’t bank your project (or your credit score) on the first thing you read! Great point here TB! Thanks for your comment!